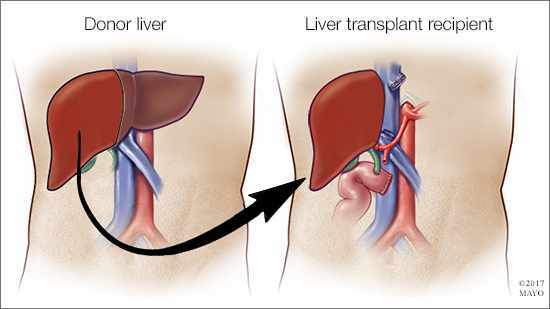 Liver transplantation usually is reserved for people who have significant complications due to end-stage chronic liver disease. In rare cases, sudden failure of a previously normal liver can occur. Learn more about the functions of the liver, the waiting list for available organs, and how to begin the process of signing up to be an organ donor. Advances in diagnosis and treatment mean most babies who once died of congenital heart disease survive well into adulthood. However, signs and symptoms of the condition can occur in adults later in life — even those who had treatment as a child. Learn about the symptoms and causes of congenital heart disease in adults, and when it's time to see your health care professional. To protect itself from the damaging effects of the sun, your skin increases production of the dark brown pigment called melanin. The extra melanin makes your skin look darker, or suntanned — which is actually sun damage. See examples of sun-damaged skin, including some conditions which, if left untreated, may progress to skin cancer. Depression is a serious medical condition, and it can affect men and women differently. When depression occurs in men, it may be masked by unhealthy coping behaviors. Learn the signs and symptoms of male depression so you know how to help yourself or a loved one. Lactose intolerance — the inability to fully digest the sugar (lactose) in milk — is caused by a deficiency of the enzyme lactase. The symptoms of lactose intolerance can be uncomfortable. Learn how you may be able to alleviate your symptoms, while maintaining a healthy and satisfying diet.